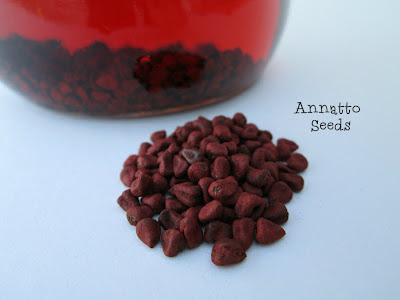 I don’t think I’ve ever tried a natural soap colorant before, but I happened to wander into a specialty food store the other day and noticed some packages of annatto seeds. I remembered reading that people used them in soap for their natural color, so I did a little research and found out that you can infuse your oil with annatto seeds to make anywhere from pale yellow to deep orange colors. 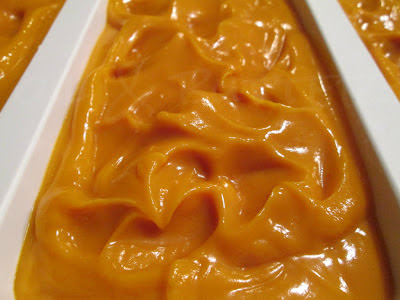 I thought the deep orange color would lend itself well to carrot soap, so I decided to make a Honey Carrot Buttermilk soap with some annatto-infused oil. 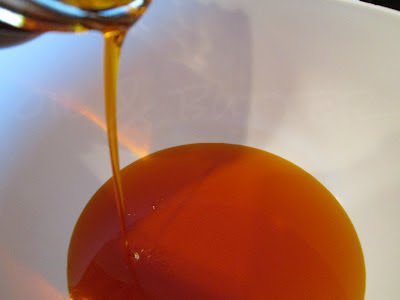 To infuse the oil, I used 4 teaspoons of annatto seeds in 16 ounces of olive oil. I put the oil and seeds in my crockpot, on low, for 2 hours and then shut off the crockpot and let the infusion sit overnight. The soap gelled, so the orange color darkened even more. 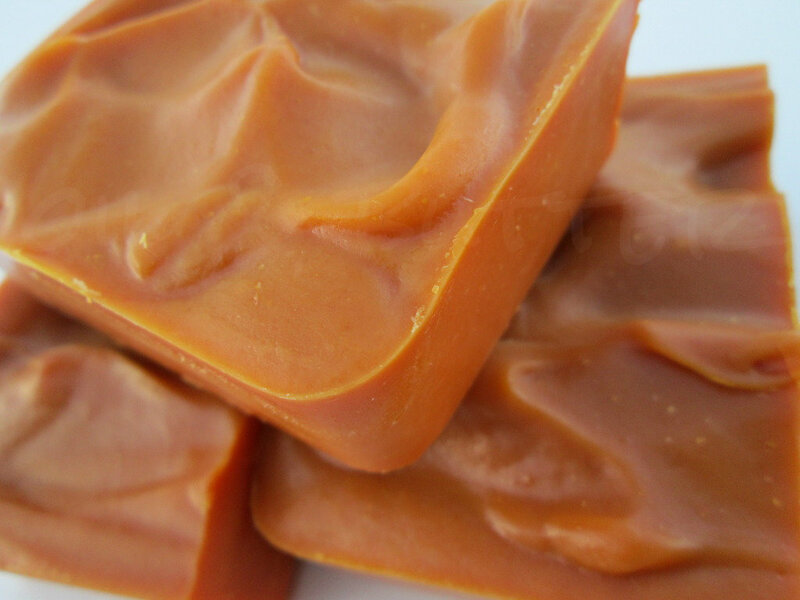 It’s a nice burnt orange color right now….I hope the color holds up, but you never know with CP soap! It sure looks like a carrot :) I need to check if there is Annatto seeds is Finland. I never used Annato seeds to colour my natural soaps,but I heard only good things about it. Plus, I love the color that came out to you soap! 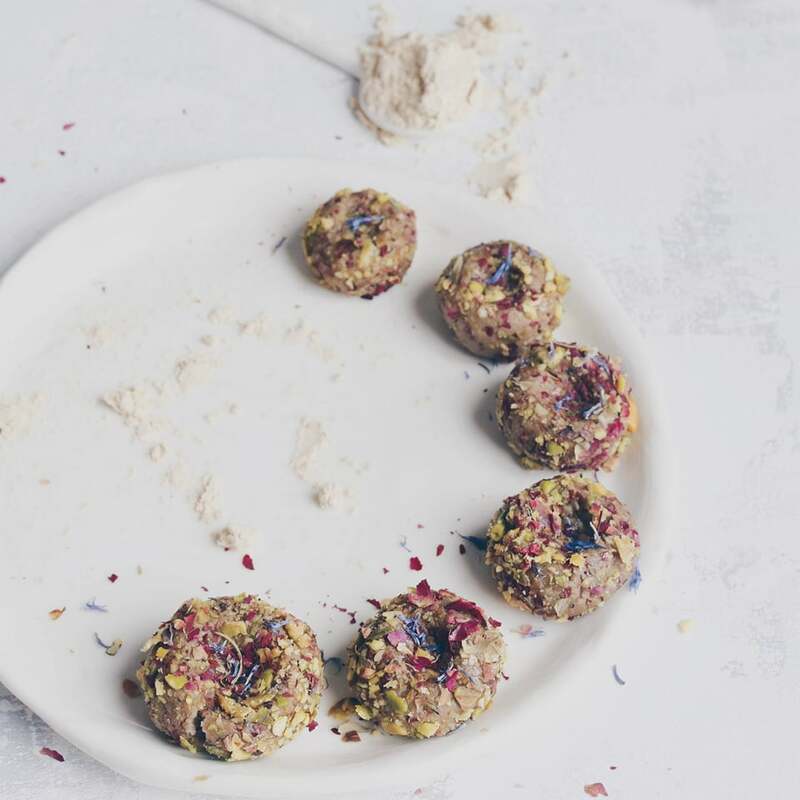 As I am a fan of NATURAL COLOURS,100%,I put these seeds on my tests list. Thanks for the information and experiment. Beautiful, Cee Gee! The annatto seeds give the oil such a nice, rich orange hue. I haven't tried infusing oils, but I hear that it is a wonderful way to add color and luxury to your soaps. The carrot soap looks so gorgeous and the scent sounds yummy! Thank you Jenny! I was surprised at how deep the color was from the relatively small amount of seeds, they are very potent! I just love the pic of your soap in the mold,the tops are also so lovely!I have also tried this natural colorant, what precious ingredient! Do you ever end up with an ugly soap? Or a failure? I bet those are just close to perfect! I love the Carrot Cupcake-smell. First it smells sweet and last spicy, like black pepper. And the lather is so creamy. 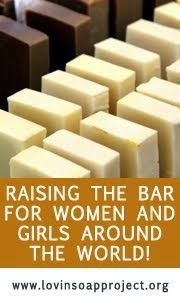 I love the sound of this soap, what did you use to cut it so perfectly. Hi, I'm sorry I missed this comment! 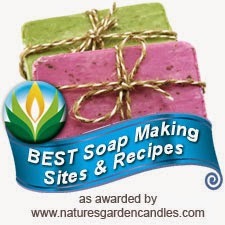 I used a slab mold with dividers for these soaps.